At the Art of Dentistry Institute, we offer general dentistry and cosmetic dentistry services from an established, professional Santa Ana dentist to help you bring out the best in your smile. Dr. Emil Hawary and the Art of Dentistry Institute staff are committed to your complete comfort, offering you a place where you can feel at ease and your perfect smile can be achieved. Come visit our office and meet our friendly staff, where we are ready to accommodate your dental health and cosmetic needs. The Art of Dentistry Institute specializes in both general and cosmetic dentistry services. Whatever your unique smile requires to help you look and feel your best, we are prepared to help you. We specialize in general dentistry services, such as dental crown and dental bridge replacement. Dental implants allow you to restore your smile’s appearance, and in some extreme cases, even your ability to eat normally. General dentistry services from the Art of Dentistry Institute also include inlays and onlays, bonding, dentures, and more. Cosmetic dentistry is a necessary part of being a top Santa Ana dentist. 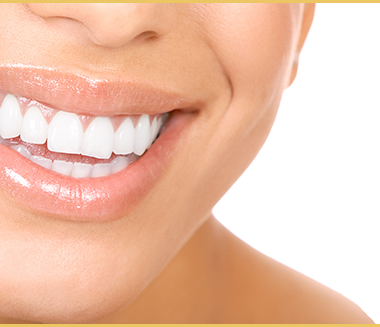 Our services range from the simple yet effective, such as teeth whitening, to more complex yet stunning smile makeovers. Cosmetic dentistry can have a number of seemingly rejuvenating effects by beautifying your teeth and enhancing the contours of your face. In addition to general and cosmetic dentistry, we also offer orthodontic, periodontic, and oral surgery. Our goal is to serve as your ideal, complete source for a dentist in Santa Ana, CA, providing you with all the dental services you need to create your ideal smile. The Art of Dentistry Institute is headed by Dr. Emil Hawary, an experienced professional in the field of general and cosmetic dentistry and an Accredited Fellow of the American Academy of Cosmetic Dentistry (AACD). He applies his extensive training and knowledge to perform award-winning, age-defying smile makeovers. His work has been featured in various dental health journals, and you can see it for yourself on our Smile Gallery. Dr. Hawary is also a Diplomat and Fellow of the International Congress of Oral Implantologists (ICOI), which has published examples of several of his dental implant cases. Looking for a dentist in Santa Ana? The Art of Dentistry Institute can meet your needs! Let us help you identify what you need most to achieve a healthy, beautiful smile.